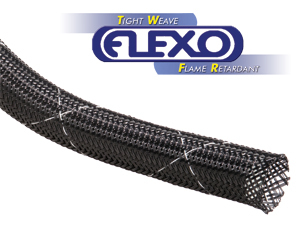 Flame Retardant Flexo Tight Weave sleeving was developed by and for aircraft manufacturers as a replacement for the Standard Grade FR. This sleeving material is constructed from tightly braided 9 mil flame retardant monofilament. The result is fuller coverage over wire harnesses. This allows for increased abrasion protection, tadalafil which is a critical issue in the aviation industry.